A Commonsense Approach for Dieters, Overeaters, Undereaters, Emotional Eaters, and Everyone in Between! 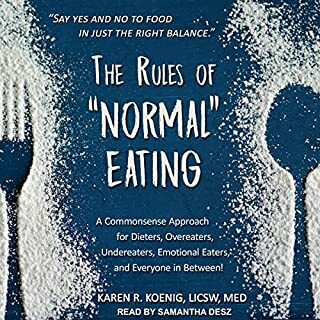 Written in easy-to-understand, everyday language, The Rules of "Normal" Eating lays out the four basic rules "normal" eaters follow instinctively - eating when they're hungry, choosing foods that satisfy them, eating with awareness and enjoyment, and stopping when they're full or satisfied. 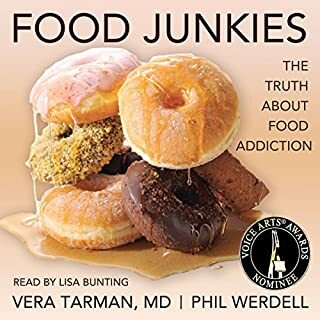 Along with specific skills and techniques that help promote change, the audiobook presents a proven cognitive-behavioral model of transformation that targets beliefs, feelings, and behaviors about food and eating and points the way toward genuine physical and emotional fulfillment. 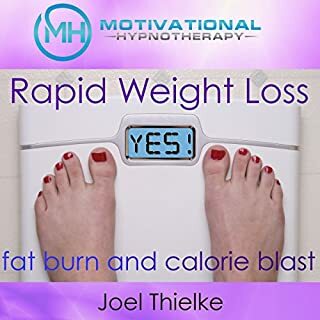 Call it meditation or even self-hypnosis, but the principles stated in the audiobook actually work. It is proven that repetitive constructive affirmations attract positive energies in your life, and that desire is the first step towards achievements. 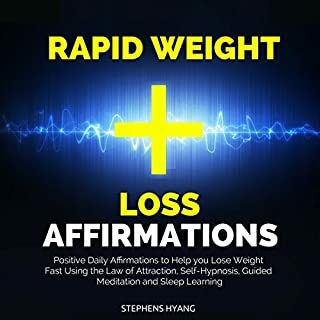 Packed with subliminal affirmations, the audiobook shows that in order to attract opportunities that will improve your health, love life, or even wealth, all you need are few minutes a day to shift your mind through positive affirmations. You can choose to repeat them loud and proud, or they can be repeated in your mind during idle times. Are you or someone you know battling addiction? 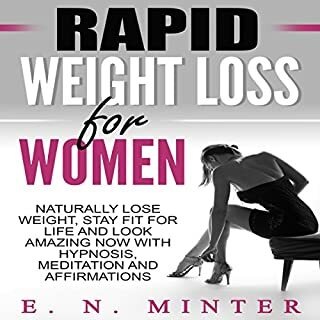 If so, a 12-step program may be the answer you have been looking for. We call the Twelve Steps a program, but it is so much more. 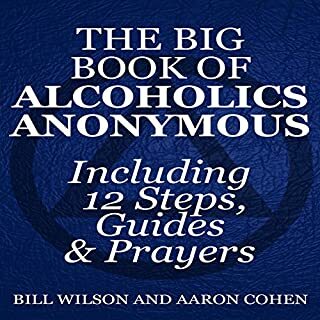 The Twelve Steps is a way of life that has helped millions of people across the world conquer their addiction. Isn't it time for a change? Learn how AA can help you. Everyone wants to live a life full of meaning, purpose, and success. Yet you clutter your mind with limiting thoughts of can't do this, can't do that, it's too high, too far, too greater to achieve. 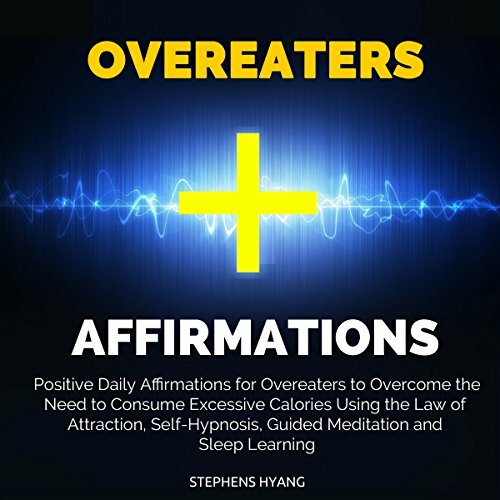 Divided into two sections - Subliminal Affirmations and Laws of Attraction guide - this audiobook will show that your subconscious is the most powerful tool to help alter your life in a positive manner. Negative thoughts are like weeds that grow all the time without any nurturing, since it's in the human nature to think of negative consequences.